Fighting for what I believed, many times against what was established by the society in which we live, was not always easy for me because I left behind along the way many important things in my life. I have traveled around the world, experience several cultures, met different people and masters, and got teachings that have shaped me to become the person that I am today. I practiced Taekwondo in my childhood and teens. Finally I gave it up because I was lacking from a true fulfillment for this art. Later I discovered climbing and spent several years of my life focused on it, feeling a profound inspiration. It showed me many weaknesses and some strengths. During those years a “warrior” began to grow intensely within me fighting to grow and for self-improvement. It was a time where I broke many limitations both internally and externally. At the age of 27 a great discovery in my life was waiting for me: the “inner work” through taijiquan, qigong and meditation. The influence of these practices in my last year of climbing made in me an authentic transformation in all levels, what pushed me naturally to engage myself fully to them. I smile when thinking in the great fortune I have had studying and practicing closely and intensively, sometimes traditionally and individually with the masters I have met, both in Spain and China, where I lived for some time. My training in taijiquan, qigong and part of my learning in meditation has not been formal. Recently I have started an instructor program in ITKA (International Taijiquan Kungfu Association). I do not hold any title or certificate that proves any level of practice. Only a sincere transmission from master to student and my commitment with my own practice can offer you some guarantee. In these last 4 years I have been very fortunate to discover two other great jewels that revolutionated my life again: Pranic Healing and Arhatic Yoga. I was trained in all Pranic Healing levels and in several higher courses from IIS (Institute for Inner Studies) both in Spain and India. My body has recovered from different health issues due to all this practices: a “chronic and degenerative” cartilage illness in both knees, an important muscular problem in the upper back, a tendinitis and a few groin strains. Moreover, they have helped me greatly in several moments in an emotional level where life put me to the test. With a strong sense for service to others, self-knowledge and movement as an art in all its expressions, I focus my life on a sincere, authentic and constant study and practice which allow me to show others the great potential that hides within us. I extend an invitation to every person to try “the flavor” I tried myself one day and could open a new horizon in your practice and in your life.. These are the people who have made possible my growth in this path for whom I feel a profound gratitude for their efforts and dedication to the inner arts. 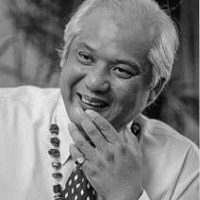 Master Choa Kok Sui: he is the founder of Modern Pranic Healing and Arhatic Yoga. I never met him because when I began studying Master Choa had already passed away. He was the embodiment of the union between science and spirituality, being chemical engineer at the same time as an eternal scholar and practitioner of the esoteric sciences. He was one of the great masters of energy of last century, thus he was called “the Engineer of the Soul”. His great contribution to the world was a life of dedication to the development of Pranic Healing and Arhatic Yoga as tools for service to His teachings have been applied in various fields, beyond the scope of holistic systems, such as in sports, psychology, business management, veterinary, agriculture, among others. The results obtained have been in many cases extraordinary. 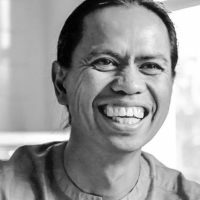 Master Hector Ramos: he has been one of the closest students of Master Choa Kok Sui and responsible to spread Arhatic Yoga in Europe. He is one of the few senior most instructors in Pranic Healing, holding a master degree. His teaching is clear and straight forward, and his energy is warm and mystical. He promotes a healthy and balanced life among students. Thanks to him students in Spain can receive the teachings as Master Choa Kok Sui taught them. Master Tung Kuan Yen: he was born in Taiwan and after a very hard childhood he decided to start the art of Taijiquan out of necessity. 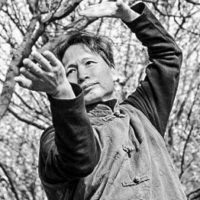 His great respect and dedication to this art led him to become a direct disciple and bearer of the lineage of two great masters of Taiji and Qigong: Taiwan’s master Xiong Wei, who teaches internal practices to the acclaimed Taiwanese dance company Cloud Gate Theater, and master Feng Zhiqiang of China, recognized as National Treasure in his country. He has been my first teacher of Taijiquan and Qigong and the person who opened to me the door to the world of meditation. His solid teaching is based on his many years of experience as a teacher and his way of transmitting is straight forward and warm. He speaks Spanish which has allowed me to have a close relationship with him, as well as to understand in greater depth all what he taught me. His greatest lesson has always been “do not fool yourself.” That is the true starting point of every person. 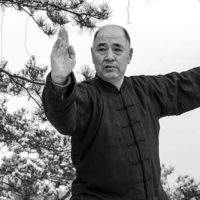 Master Yang Yingjian: he is also a former disciple of Master Feng Zhiqiang and a “big brother in the lineage” of Master Tung, who has always shown great respect for his human quality and level of knowledge and practice. He suffered from a serious illness when he was young and the doctors gave him five years of life. Thanks to internal practices he was healed. This has been more than 20 years now. At first I could not understand in words what he taught me by the linguistic difference that existed between us. My learning with him was mostly intuitive and “through the body”. He also taught me the traditional culture of Taijiquan and instilled in me the great qualities of his heart. Our relationship is still alive and I continue to visit him when time allows it. Master Luciano Vida: he accepted me as a student in his advanced students and instructors group more than a year ago. With him and his students, whom I consider as my family, I train every week and thanks to them my understanding and practice of Taijiquan has entered to a new stage. 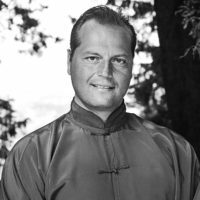 Master Vida possesses a high level and understanding of Taijiquan, although “not as high as I would like”, as he would say. His exceptional ability to communicate and synthesize, and his ability to apply theory to practice make him a very valuable teacher. 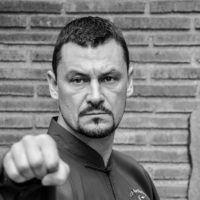 He has a strong commitment to an authentic spreading and transmission of Taijiquan in Spain, being a representative and member of the Technical Committee of the ITKA (International Taijiquan KungFu Association). He is a very close student of Master Gianfranco Pace, founder of ITKA. Master Gianfranco Pace: his martial and internal abilities and his human quality are making him famous internationally and recognized as a true master of this art. He is highly creative in his teaching and also much opened to absorb everything from other styles and masters that can improve his level of practice and teaching methodology. His strong commitment to teach all aspects of Taijiquan in an authentic way in the West led him to create ITKA. He comes to Spain several times a year and Spanish students make trips to his school in Catania. Thanks to his teachings, practitioners are being trained at a very high level.